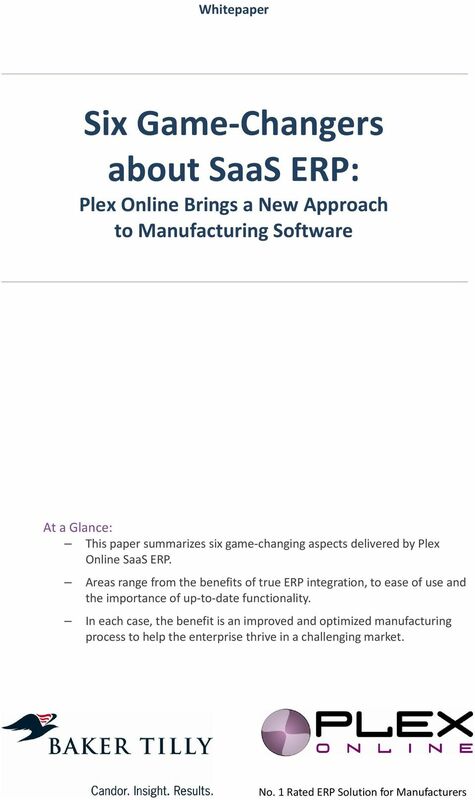 Download "Six Game-Changers about SaaS ERP: Plex Online Brings a New Approach to Manufacturing Software"
Ten Warning Signs Your ERP System Is Killing Your Business At a Glance: Today s manufacturing enterprise is challenged by rising material costs, increasing competition, and ever-changing customer requirements. 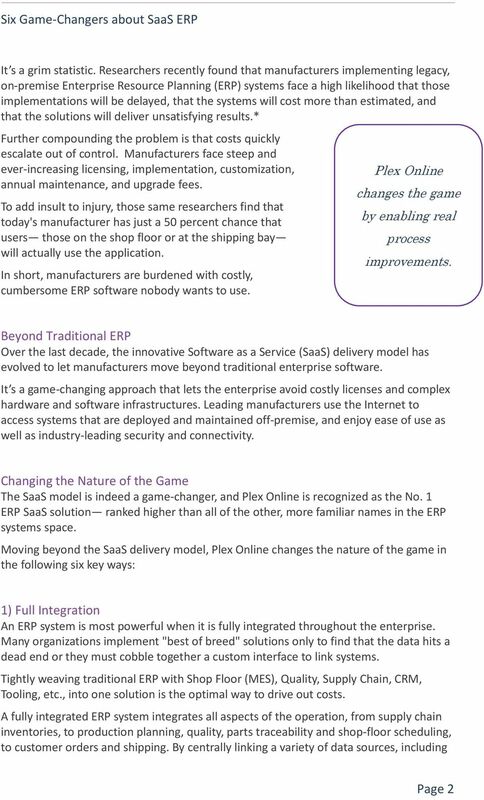 Is it Time to Purchase a Fashion Enterprise Solution? 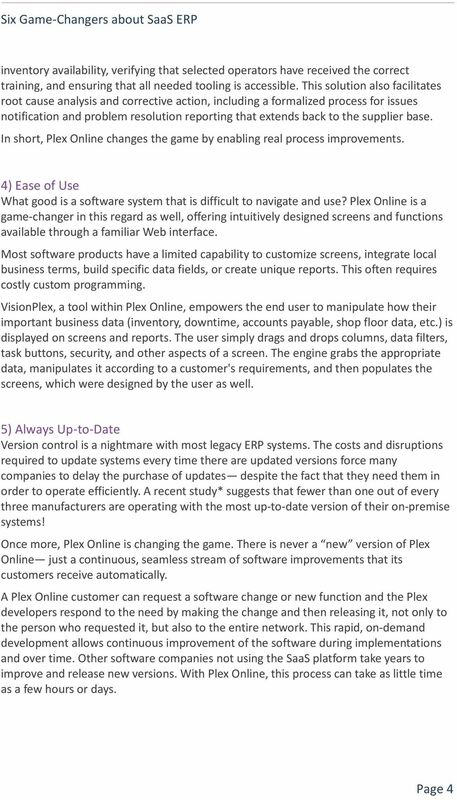 MADE2MANAGE ENTERPRISE RESOURCE PLANNING. 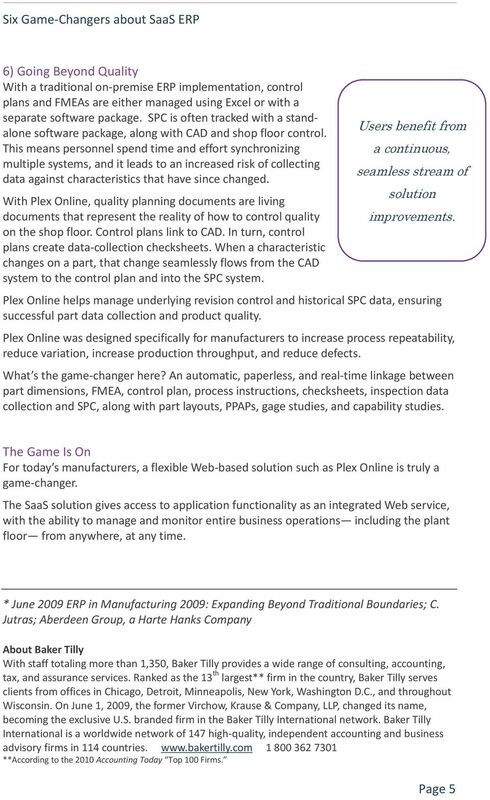 WE OWN THE SHOP FLOOR Plan, schedule, execute and track with an industrial strength feature set. Are You Using Word, Excel or PowerPoint to Create and Manage Your Assembly Work Instructions and Supporting Documentation? 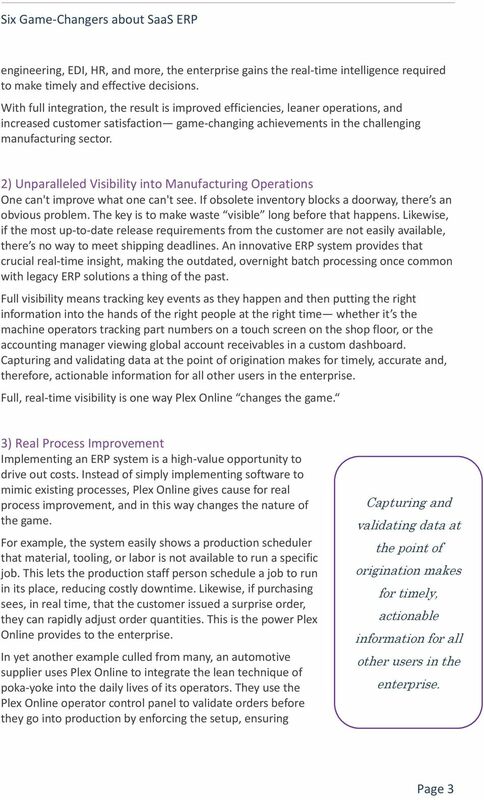 A Special Report for Production, Manufacturing and Continuous Improvement Executives. Are You Using Word, Excel or PowerPoint to Create and Manage Your Assembly Work Instructions and Supporting Documentation? 4 Elements of an Effective Food Safety Management System. How to meet your changing challenges and ensure success.